Stumbling nowadays is a daily part of bloggers’ life. Stumbleupon as a bookmarking site to increase the traffic has been strongly evolved in last few years. To have a multiplier effect of results, marketers also use the ‘StumbleUpon paid discovery’. 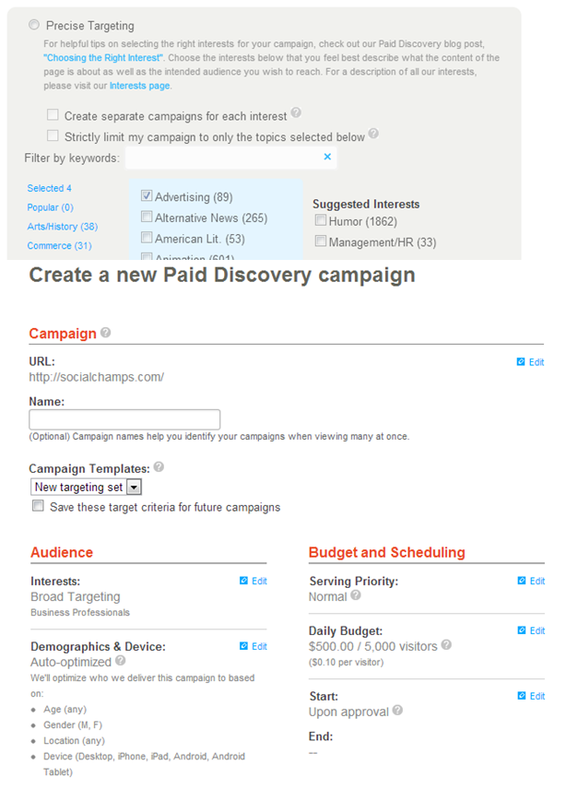 Paid Discovery is StumbleUpon’s advertising system. StumbleUpon’s platform lets users surf the web by Stumbling to sites that match their interests, simply by hitting a button on their browser or mobile device. According to http://www.stumbleupon.com up to 5% of all stumbles are reserved for Paid Discovery where the advertisers directly insert their web page into the user experience. This means the audience lands directly on their web pages. Users can also provide feedback (thumbs up / thumbs down) on this content. 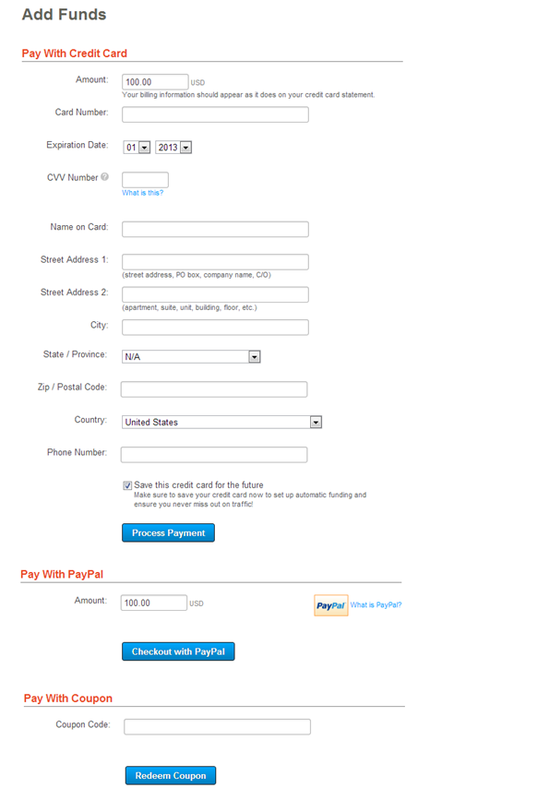 Why Paid Discovery is required? 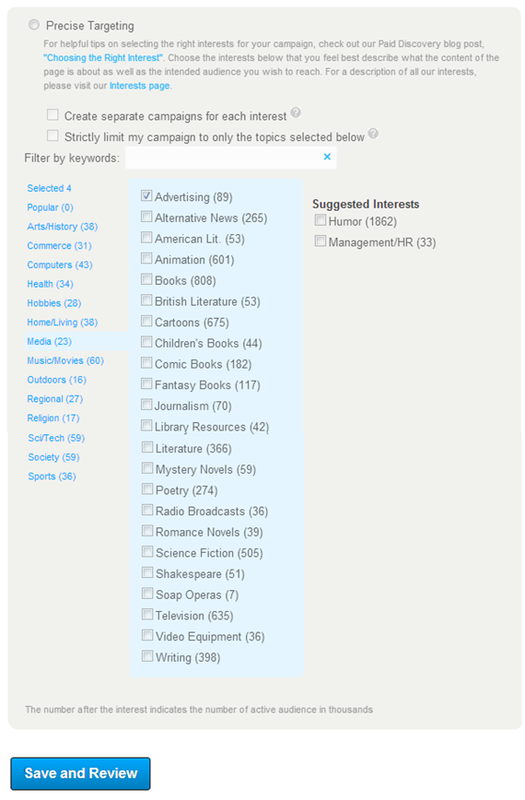 StumbleUpon algorithm prioritizes the content order based on ‘more thumbsup’ on the page (similar to FB likes). 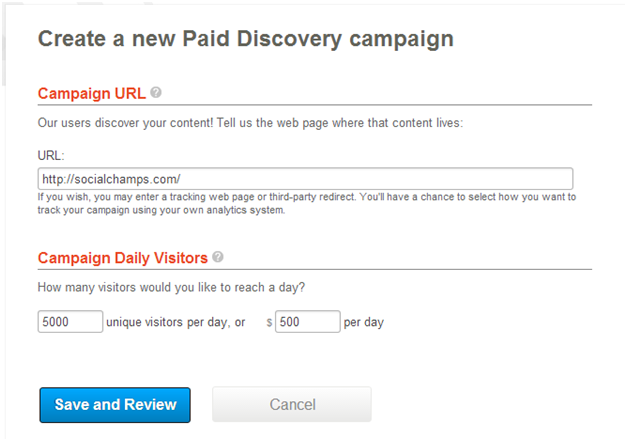 Paid Discovery ensures the visibility of your content to a larger chunk of readers and if content quality is good, it attracts more ‘thumbs up’. Which in turn, again increases the chances of organic searches on StumbleUpon. Click on Paid Discovery. You find it bottom side of StumbleUpon. Enter the URL of the webpage which you have to promote and set a campaign according to number of unique visitors per day or total amount in ($) per day. Remember, Campaigns will not active if account balance is zero. After filling basic options, we get more options to edit the campaign. There are multiple options provided to have the targeted promotions. After again we get more advanced options to filter the audience. 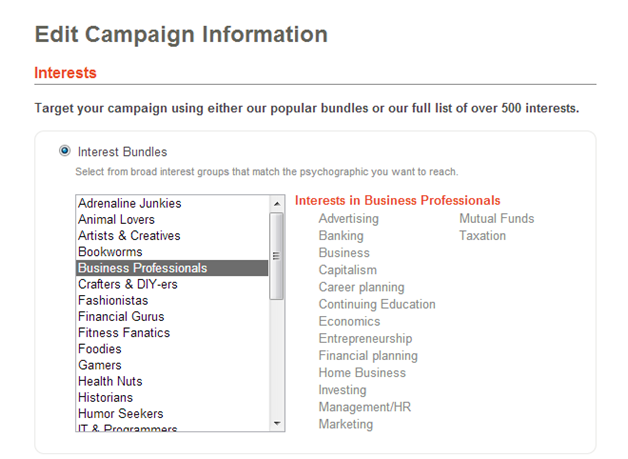 Here we set the Campaign Name and can filter the audience based on demographics. Also we can set the Budget and Scheduling. We will discover it in next point. Spends are based on ‘Cost per clicks’. 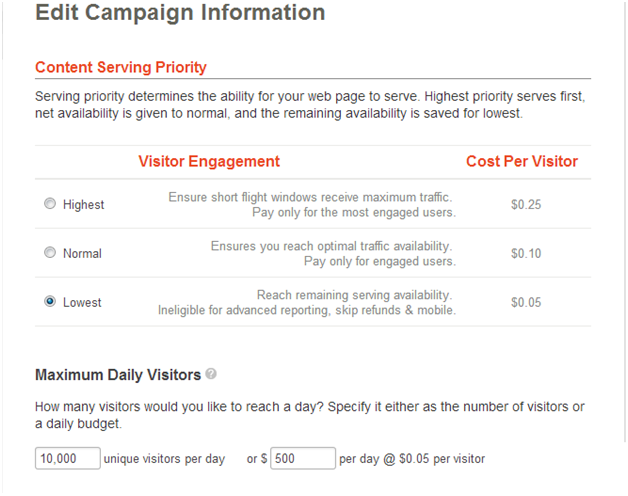 Cost per clicks are based on level of visitors engagement. Higher is the engagement required, more will be the cost per click. One can also schedule the utilization of funds either manually or automatically. 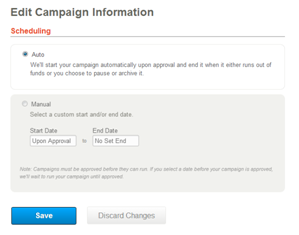 By manually one can set the start and end date and automatically campaign will stop temporarily when it runs out of funds. Here you can filter the audience by yourself or by giving it to the StumbleUpon. 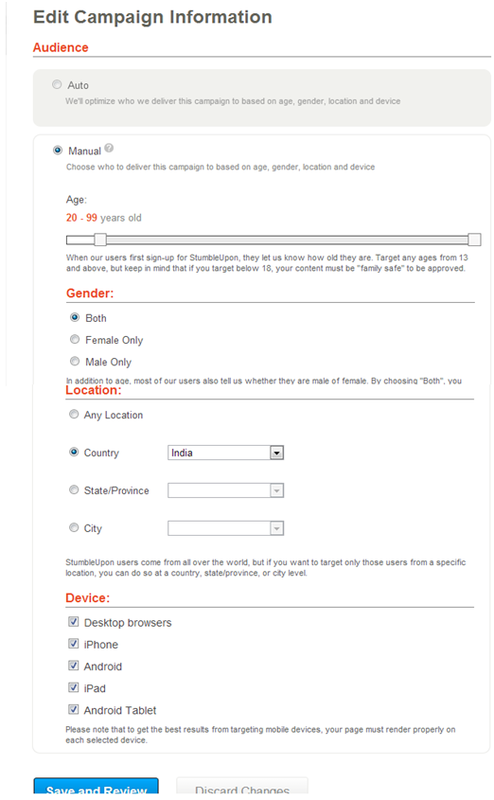 The StumbleUpon itself do the filtering based on age, gender, location and device and optimize the campaign automatically. You can choose yourself the options to filter the audience based on age, gender, location and device and optimize the campaign by manually. After transferring funds, the Campaign will get start. Now it’s your time to see the stumbling game, keep watch on visitors. StumbleUpon is quite cost effective then other advertising campaigns, the lowest price is $0.05 per visitor. There is nothing like CTR, when your webpage get the traffic then only you have to pay. The key is to have quality content, precise targeting to get more votes. The traffic multiplies as your webpage ranking improves. Inversely a not-quality content will have adverse effect as the bounce rate will increase and ranking will go down.